The class of 2019 is on campus and settling in. The first day of classes was August 24 and the Cake Race is August 26th. We don’t know yet what changes they will see in their years at Davidson. 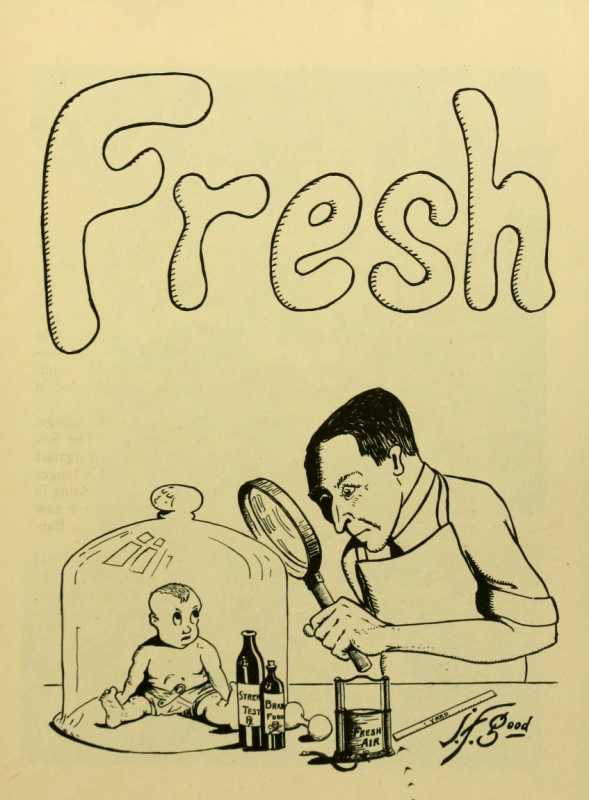 We do know that the class of 1919 saw changes big and small. Sketch from 1916 yearbook putting the class of 1919 in their place. Class of 1919 as first year students gathered in front of the library. 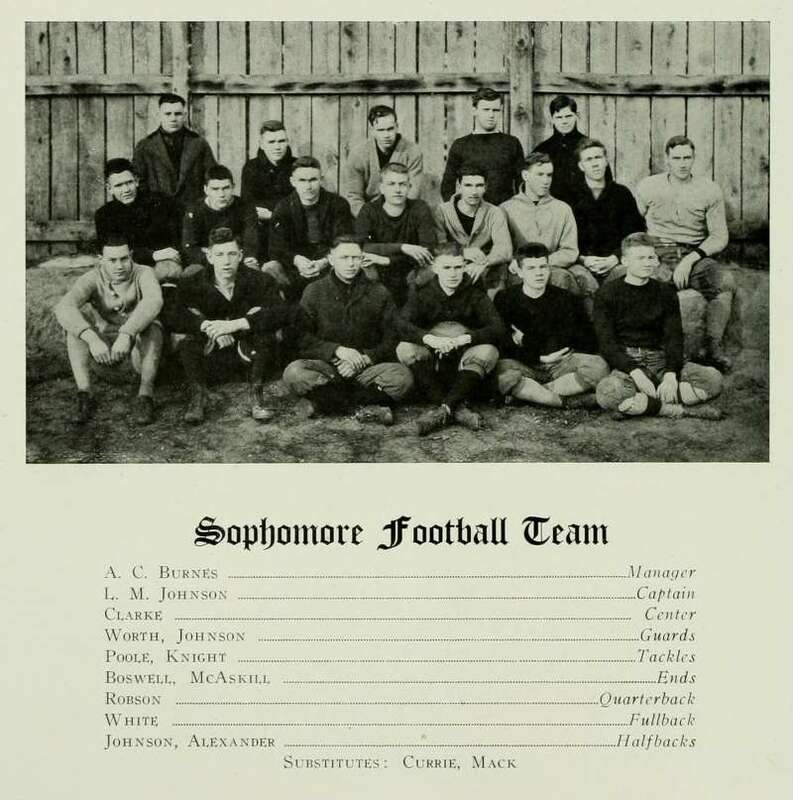 As freshmen, the 1919ers participated in class rivalries, winning the football championship. 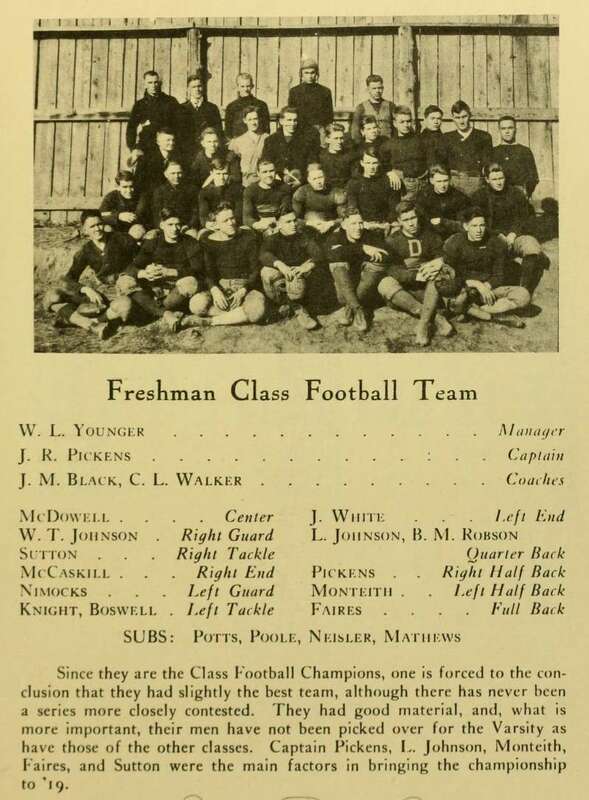 1916 Quips and Cranks account of the class of 1919’s athletic debut. They would be among the last classes to play against each other. 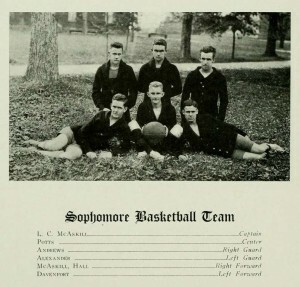 With the advent of World War I and military training at Davidson, class contests mutated into battalion clashes. Once the war was over, teams began to form around dormitories rather than classes– and ROTC became part of the curriculum. 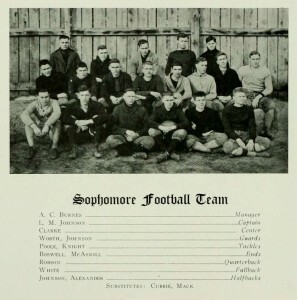 1917 Quips and Cranks page for the 1919’s sophomore football team. They also began to switch sports. 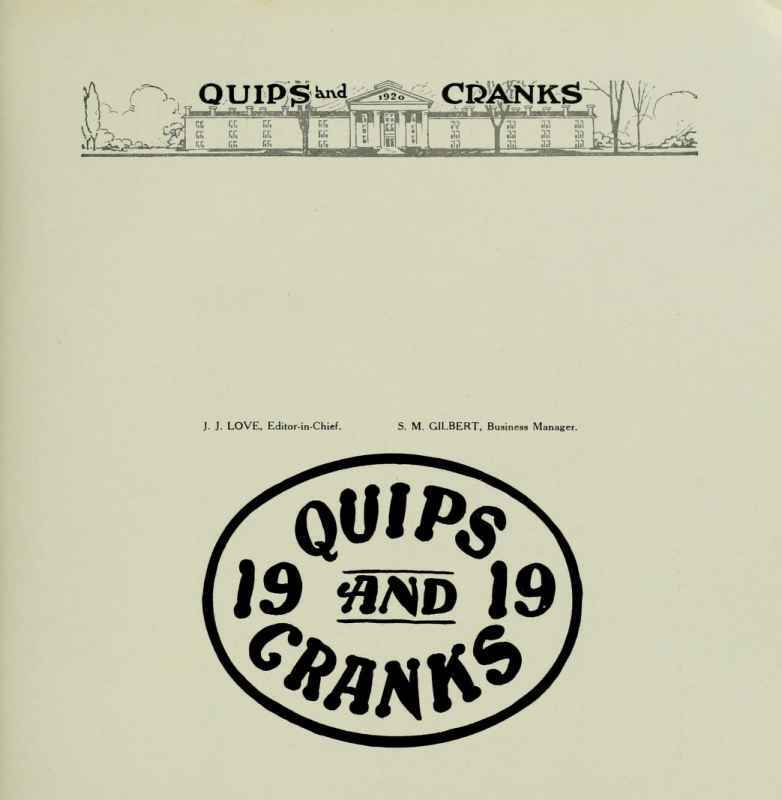 The 1917 Quips and Cranks is the last to have pages for class football teams. Basketball will have one more year and will take over as the favored intramural sport. 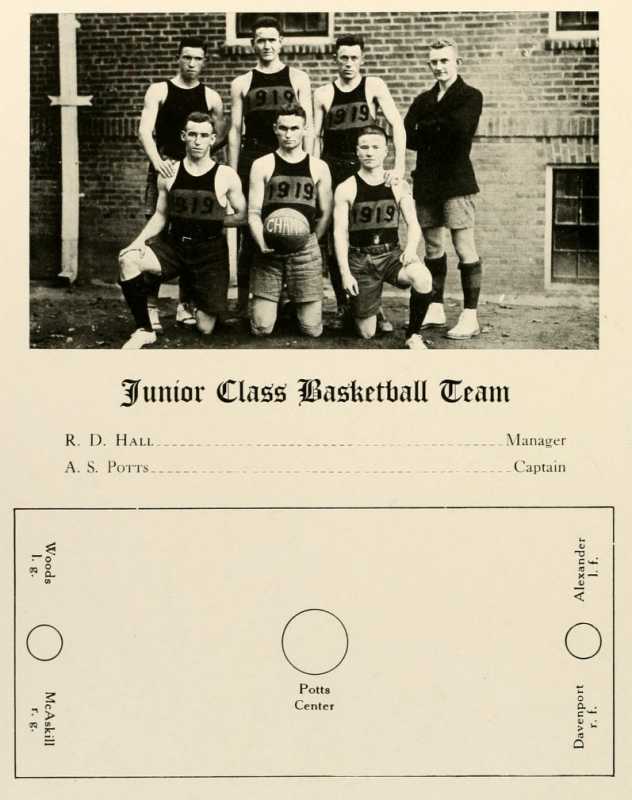 Intramurals in 1917 included both football and basketball– but football was fading. 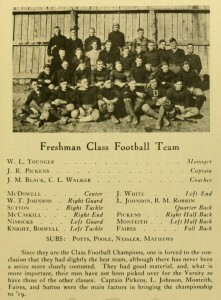 Class of 1919’s team n 1918. 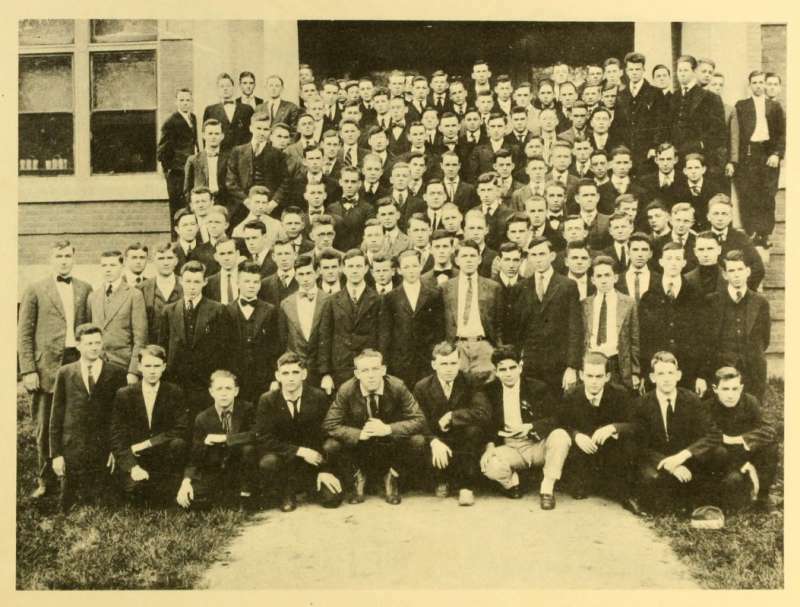 The class of 1919 was the first not to have a class yell, colors or motto. 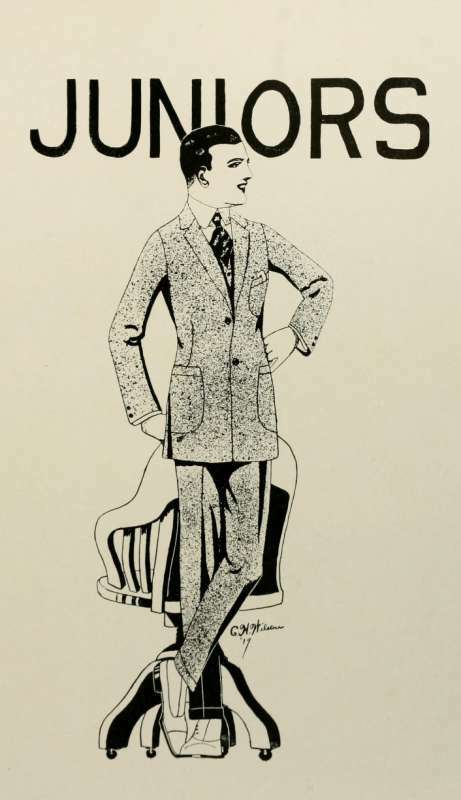 By 1918, the class of 1919 was granted more sophistication by the yearbook editors. They were also one of the few classes not to have a yearbook. Like the class of 1944, another war-time class, they never published a Quips and Cranks. 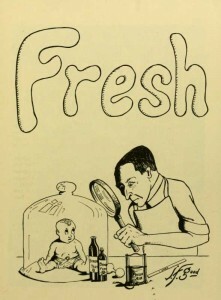 They did manage to include their seniors in the back of the 1920 Quips and Cranks. 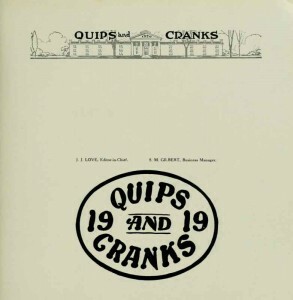 What there is of the 1919 Quips and Cranks is the final section of the 1920 yearbook. This class saw the return of US president Woodrow Wilson to campus in May 1916 and helped adopt the wildcat as the college’s official mascot. Definitely an eventful 4 years for them. Will the class of 2019 be able to match them?